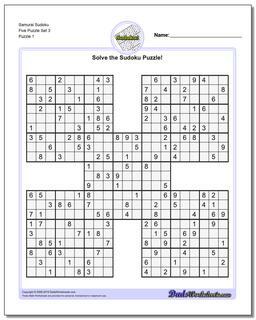 Welcome Sudoku Samarai Warrior! 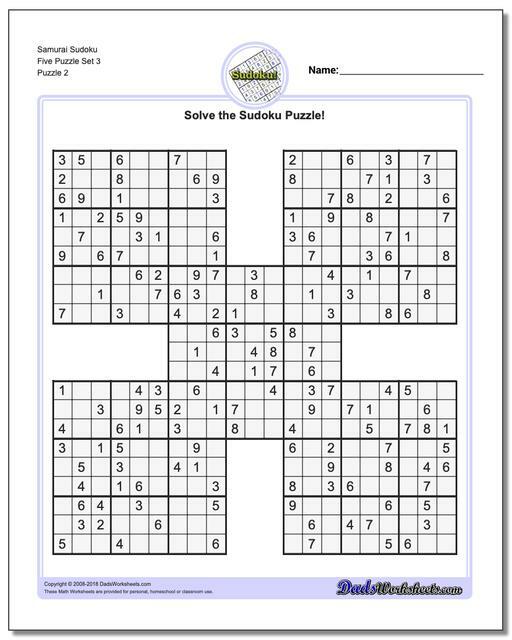 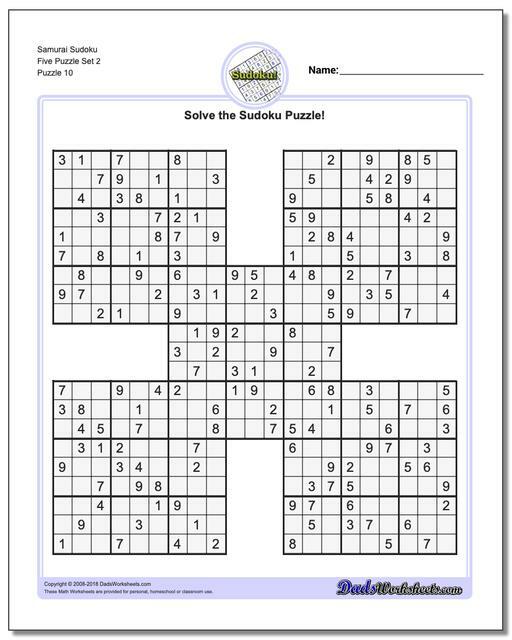 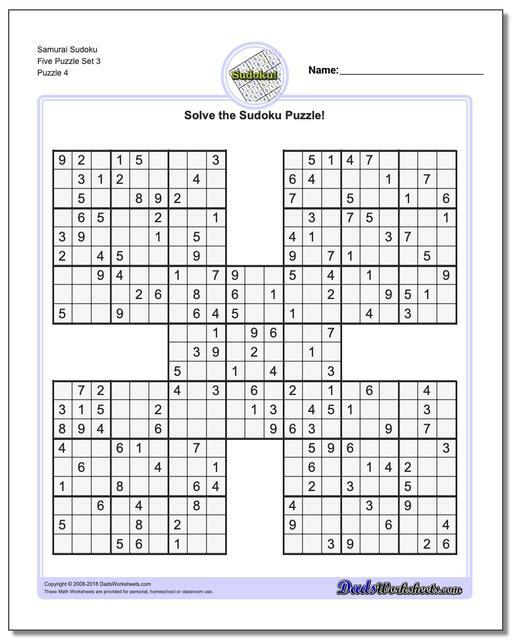 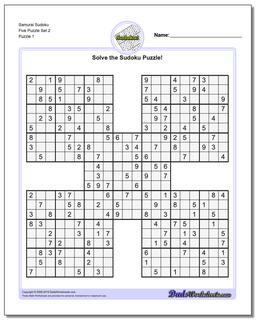 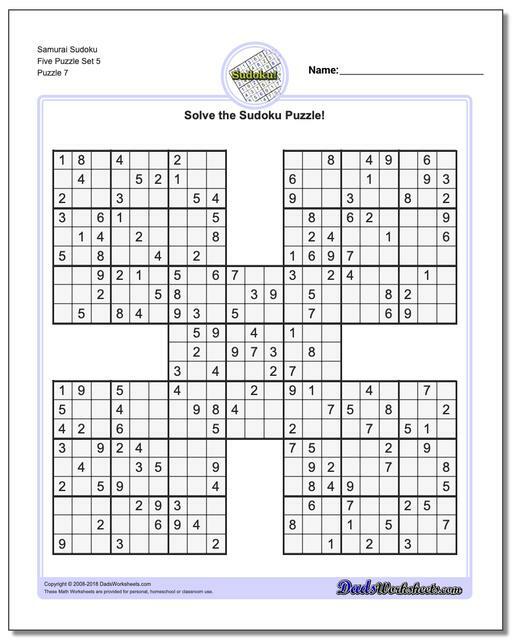 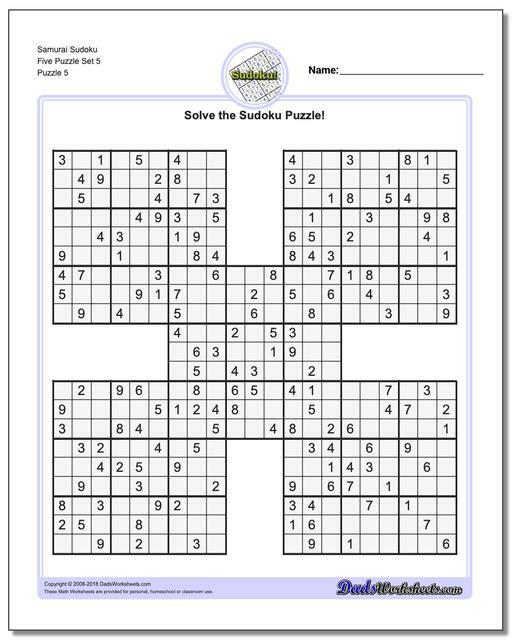 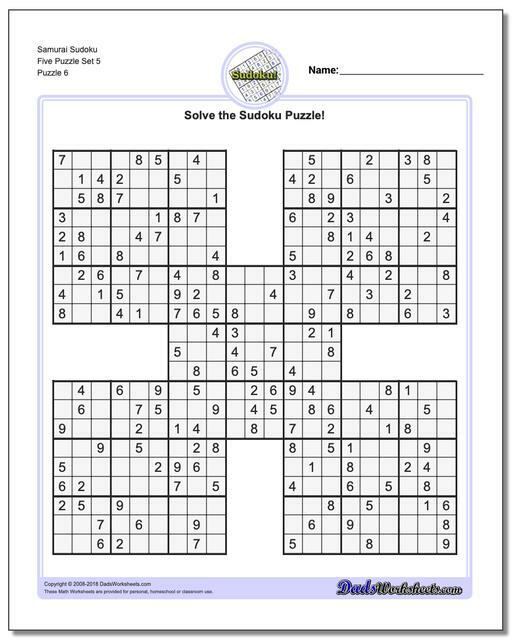 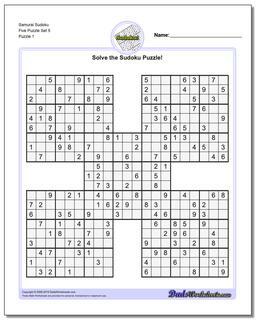 If you've found these unique sudoku puzzles, you're probably looking for something a more challenging than the hard or even the evil sudoku puzzles here at DadsWorksheets! Well, your search is over. 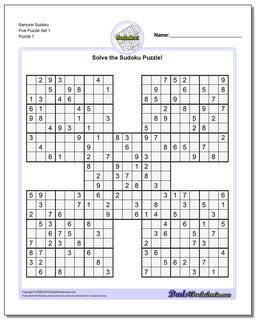 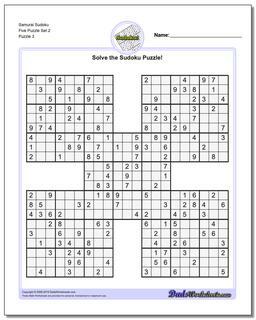 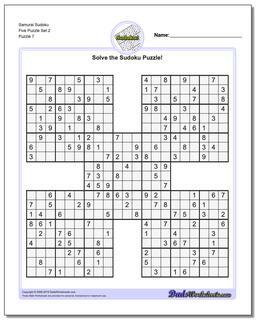 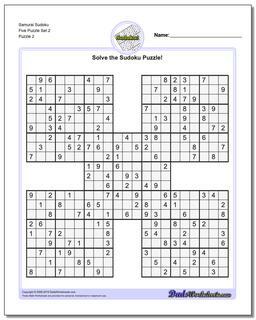 These five pattern problem Samarai Sudoku will keep you challenged! To solve these puzzles, work each sudoku grid individually as you would normally, and use the solution in the overlapping squares as part of the joined puzzle. The central puzzle will wind up being a component of the solution for the adjoining puzzles.